The peak stress/rest ratio of left ventricular (LV) elastance, or LV force, is a load-independent index of left ventricular contractile reserve (LVCR) with stress echo (SE). To assess the accuracy of LVCR calculated during SE with approaches of different complexity. Two-hundred-forty patients were referred to SE for known or suspected coronary artery disease or heart failure and, of those, 200 patients, age 61 ± 15, 99 females, with interpretable volumetric SE were enrolled. 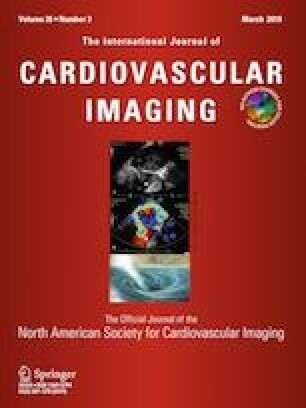 All readers had passed the upstream quality control reading for regional wall motion abnormality (RWMA) and end-systolic volume (ESV) measurement. The employed stress was dipyridamole (0.84 mg, 6 min) in 86 (43%) and dobutamine (up to 40 mcg/kg/min) in 114 (57%) patients. All underwent SE with evaluation of RWMA and simultaneous LVCR assessment with stress/rest ratio of LV force (systolic blood pressure by cuff sphygmomanometer/ESV). ESV was calculated in each patient by two of three methods: biplane Simpson rule (S, in 100 patients), single plane area-length (AL, apical four-chamber area and length, in 100 patients), and Teichholz rule (T, from parasternal long axis and/or short axis view, in 200 patients). RMWA were observed in 54 patients. Success rate for ESV measurement was 76% (100/131) for S, 92% (100/109) for AL, and 100% (240/240) for T. There were 100 paired measurements (rest and stress) with S versus T, and 100 with AL versus T. The analysis time was the shortest for T (33 ± 8 s at rest, 34 ± 7 s at stress), intermediate for AL (70 ± 22 s at rest 67 ± 21 s at stress), and the longest for S (136 ± 24 at rest 129 ± 27 s at stress, p < 0.05 vs. T and AL). ESV absolute values were moderately correlated: T versus S (r rest = 0.746, p < 0.01, n = 100; r stress = 0.794, p < 0.01, n = 100); T vs. AL (r = 0.603 p < 0.01, n = 100, at rest and r = 0.820 p < 0.01 n = 100 at peak stress). LVCR values were tightly correlated independently of the method employed: T versus S (r = 0.899, p < 0.01, n = 100), and T versus AL (r = 0.845, p < 0.01, n = 100). LVCR can be accurately determined with all three methods used to extract the raw values of ESV necessary to generate the calculation of Force. Although S is known to be more precise in determining absolute ESV values, the relative (rest-stress) changes can be assessed, with comparable accuracy, with simpler and more feasible T and AL methods, characterized by higher success rate, shorter imaging and analysis time. Ageing project of Italian national Research Council (GAE P001328).